Hello, World! I’m Laura Kay Houser, shop owner and quiltaholic. Welcome to Happiness Is … Quilting!, the happiest little quilt shop in Texas! 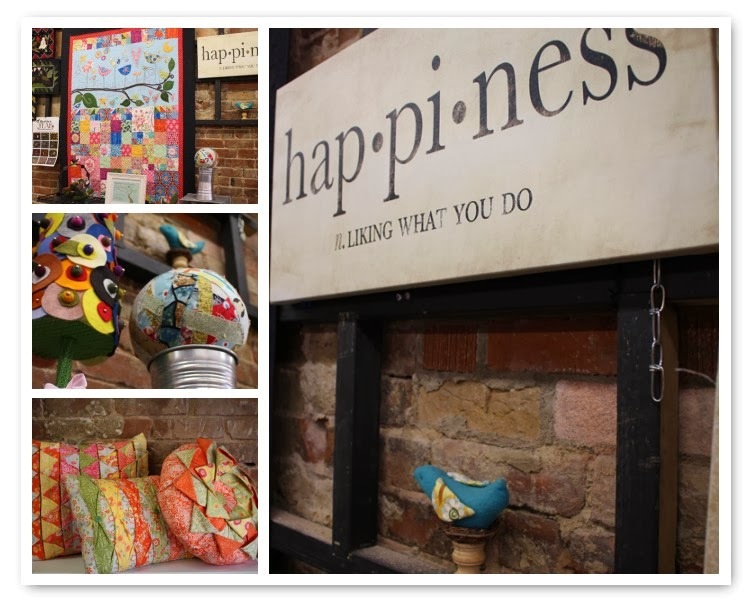 Nestled in the heart of historic downtown McKinney, Happiness Is … Quilting! enjoys the quaint attractions of belonging to a historic county square while being minutes from a major metropolitan area. 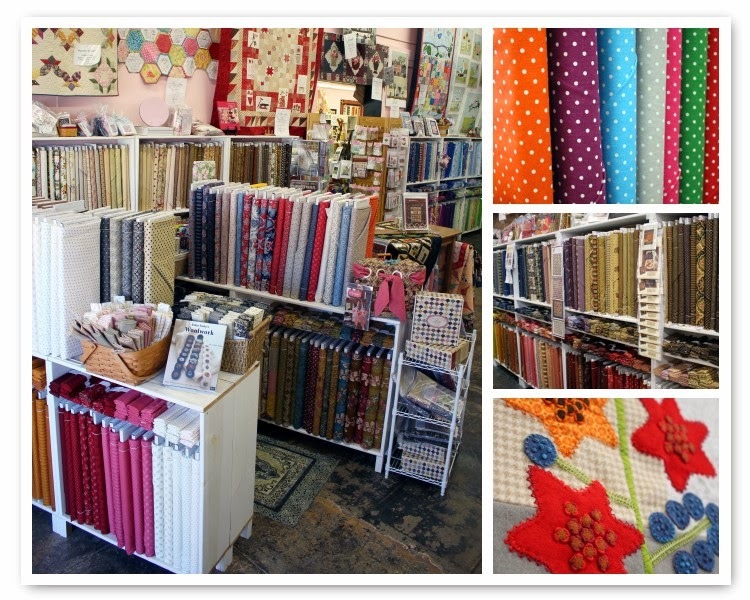 At Happiness Is … Quilting!, we are known for our reproduction fabrics. The charm of being in an old store front dating 1898 is reflected in our wide selection of reproduction fabrics dating from the 1600s through the 1950s. I am always offering fun and unique events for our customers to participate in throughout the year. 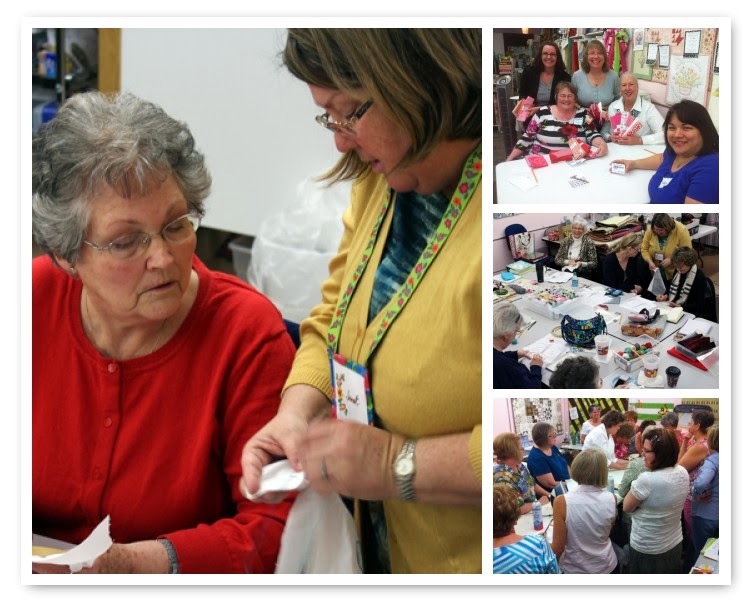 Education is important to grow as a quilter, but so is camaraderie. I have hosted a variety of nationally and international renowned teachers with Pat Sloan, Harriet Hargrave, Paula Barnes and Betsy Chutchian just this past year. Our calendar for 2014 is filling up quickly including Deirdre Bond-Abel of Quilted Crow Girls, Becky Goldsmith and returning Pat Sloan and Harriet Hargrave. We love to expose our customers to new fabric and pattern designers and have had workshops with some of the freshest faces in the biz. With the start of the XXII Olympic Winter Games in Sochi this month, my staff and I tried to think of a fun way to show our support for Team USA. Over the course of the Winter Games, we are excited to offer quilting challenges and events for you and our customers to participate in while watching and supporting our athletes – The Winter Quilt Games! Go Team USA! Each event will have medals and points awarded and will take place during a specific time period either at home or at the shop. At the end of the Quilt Games, points will be tallied and prizes awarded for overall first, second and third places. The seven events that take place over the next 17 days include Giant Slalom (Jelly Roll Race), Curling (LRC Tournament), Snowboarding Halfpipe (Snowball Block Exchange), Slopestyle (Snowball Block Challenge), Speed Skating (9-Patch Challenge), Ice Dancing (9-Patch Project Challenge), and Biathlon (Snowball Blocks and 9-Patch Project Challenge). The Ice Dancing and Biathlon events allow participants to create quilts with blocks made during earlier Quilt Games events. Doesn’t this sound like so much fun? My staff, customers and I are always having a blast in the shop! 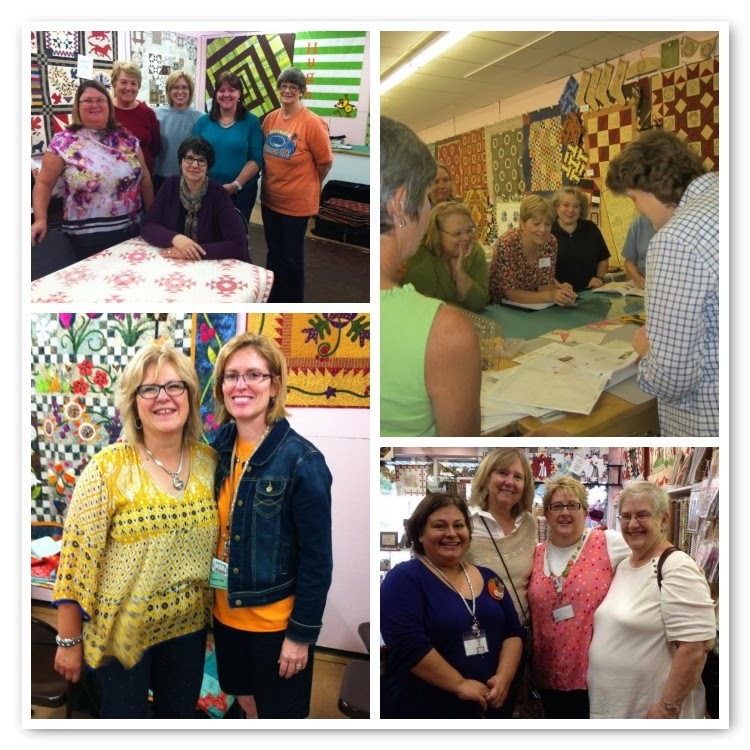 My staff at Happiness Is … Quilting! is some of the friendliest and most knowledgeable quilters around. They welcome everyone with a smile and are always willing to help you, whether a novice or veteran quilter, with your quilt project. We take pride in our assortment of Block of the Month programs. The creative staff carefully selects fabric for these projects. We work hard to schedule a variety of classes that appeal to a wide range of quilters from beginners to masters. 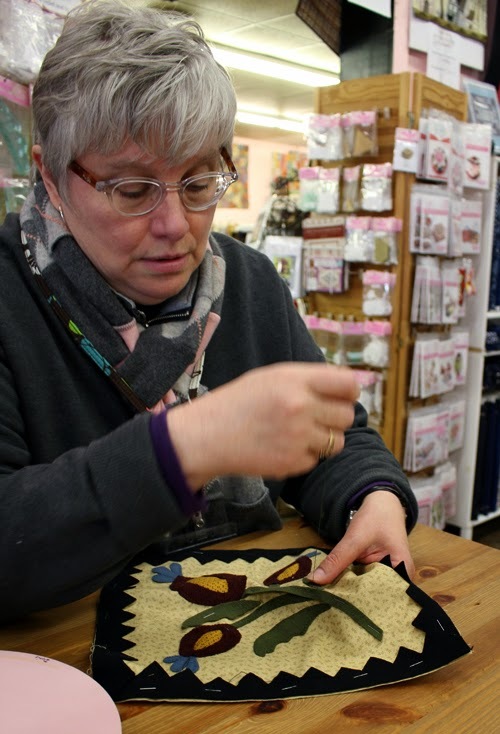 We love handwork and offer classes in hand quilting, applique, embroidery, silk ribbon embroidery, English paper piecing and wool applique. We also offer machine applique, machine quilting and piecing classes. We are open Monday-Saturday 10 a.m. to 5 p.m. with extended hours on Thursday until 7 p.m.
Love this shop. A few months ago I needed help selecting border & backing fabric. They (sorry I don’t remember their names) helped me offering several choices & even figured the amounts I needed of each. Wonderful, friendly shop. Love this store!! I try to get there as often as I can, but it’s about 1 1/2 hours from me. They have great selections and some wonderful classes!! This is the best quilt shop in DFW metroplex. I drive 45 minutes to get there, and it’s worth every minute. Great selection and wonderful staff. I love this shop!! We moved to Sarasota, FL 2 years ago and I haven’t found anything like it yet. I miss my favorite quilt store for sure. SO happy to see you ladies on the Moda Blog. You rock!